beverly katz Archives » Exterior Designs, Inc. 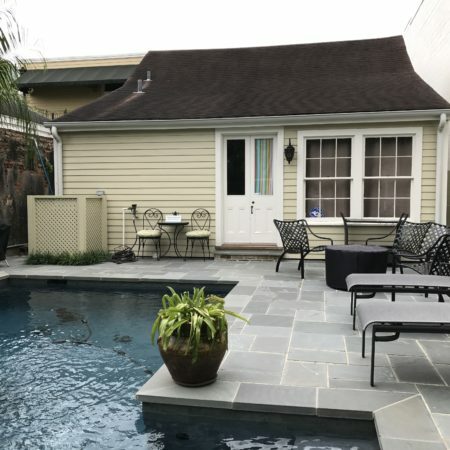 The addition of a custom pool transforms this space into a backyard oasis. 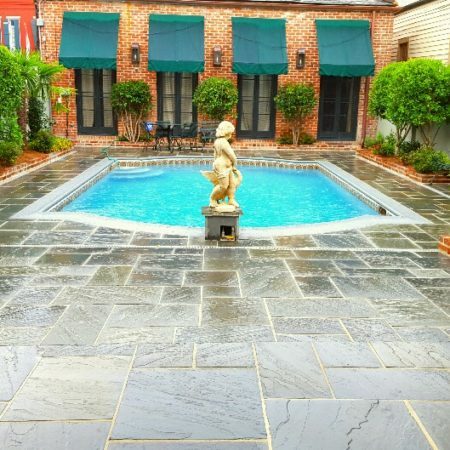 The flagstone used to create the pool surround is somewhat modern, while the brick selected for the pool’s fountain adds a traditional element. The custom pool is neatly nestle among the landscaping to create privacy and an oasis feel. 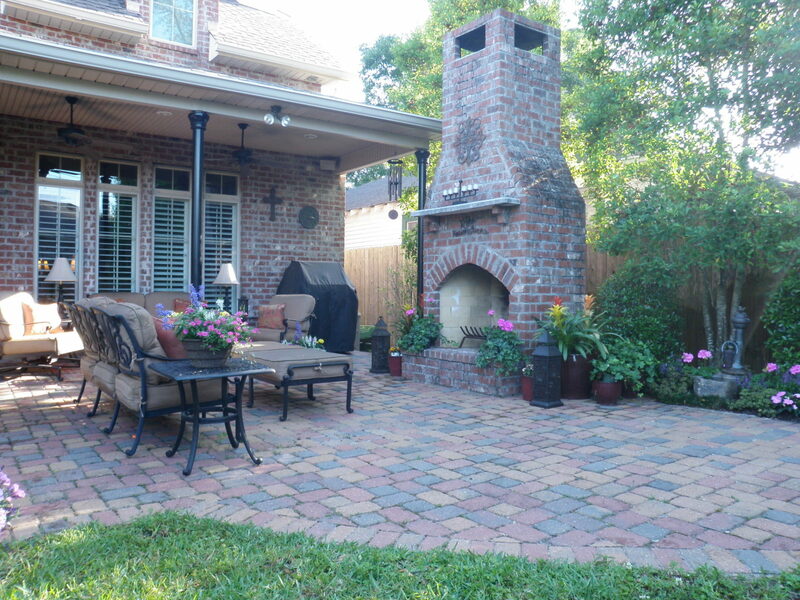 The custom designed pergola gives homeowners a place to retreat whether trying to stay warm at the fireplace or cool beneath the shade of the pergola. You would never know this custom pool lives in the middle of the city! 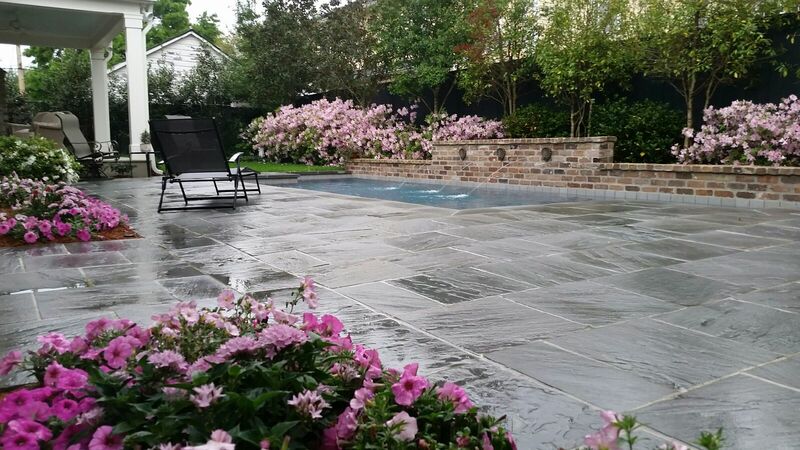 Brick pavers are used to create a custom pool for this city backyard. We also create a tranquil fountain as the focal point of the swimming pool. 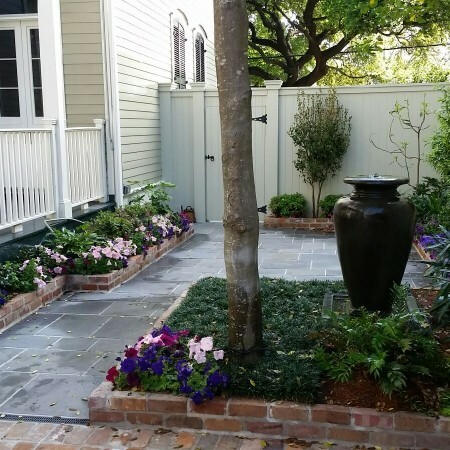 Brightly colored blooms create dimension, while providing privacy around the custom pool. 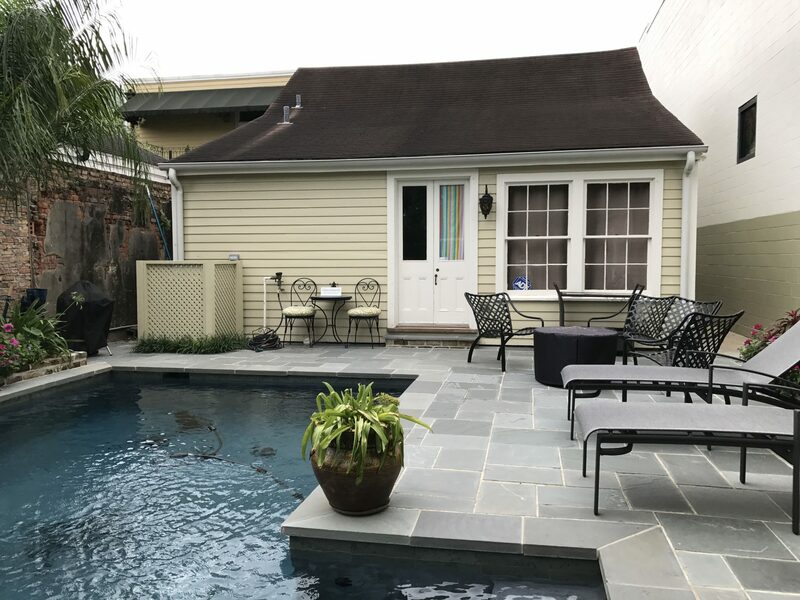 Imagine what an impact a custom pool can have on your small backyard. 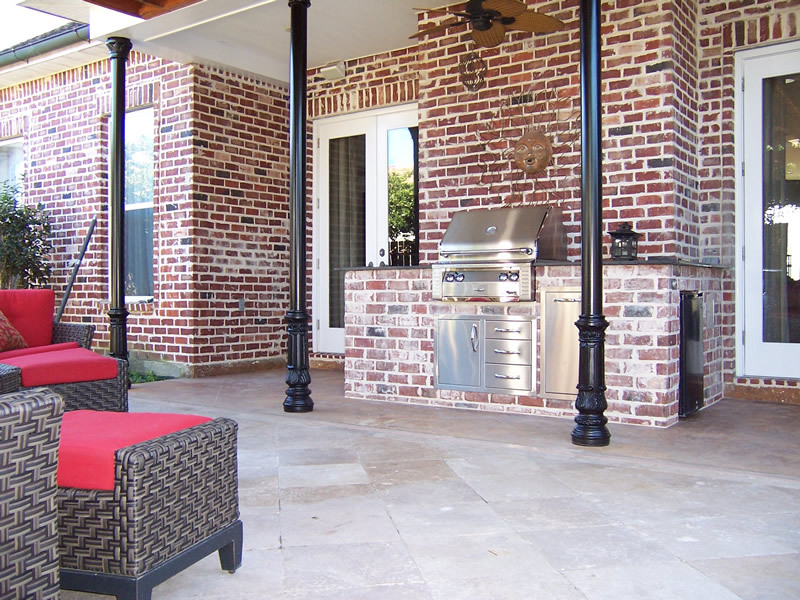 The focus of this outdoor kitchen is the grill, so we designed a custom brick island that holds all the kitchen essentials: grill, refrigerator, ice maker, and storage. 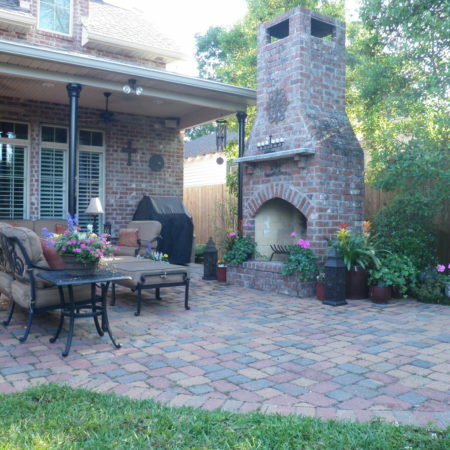 The brick counter is hallow and is dual purpose, also serving as a storage area for the homeowner’s additional grill equipment; see detailed image above. 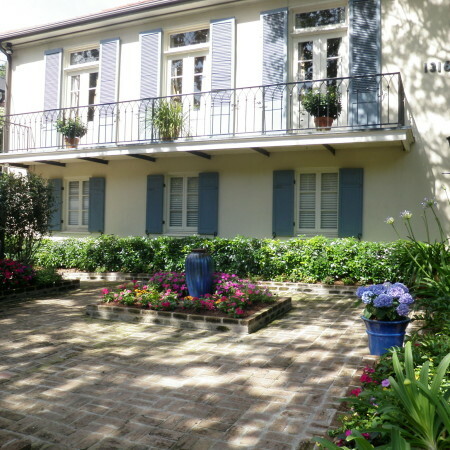 Black iron columns give the space a New Orleans feel while providing a unique architectural element. 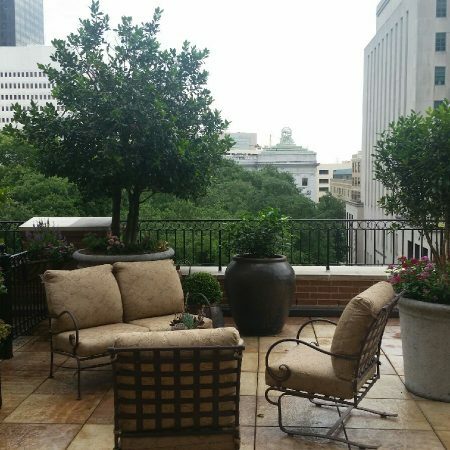 The materials we selected to use throughout the outdoor kitchen – brick, acid stained concrete and granite – are low maintenance and do well handling the outdoor elements.